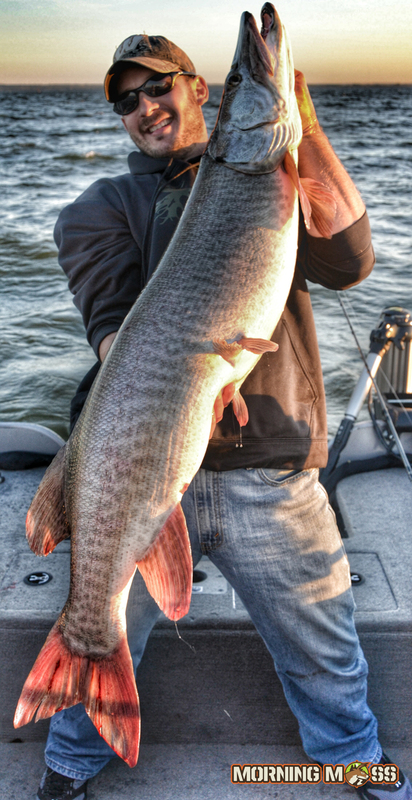 The Bay of Green Bay has proved to be a hot spot for giant muskies and many say the next world record will come from there. Last May even, a potential new world record was caught and released before the season opened. Basically, there are a lot of giant fish there. Joshua Beaman managed to catch one of these monster fish last October while trolling in the bay. The giant fish measured 51 inches long and had a girth of 22 inches, a real trophy. Props to Josh and his fishing companion for the awesome photo and congrats on one hell of a fish. Be sure to send in your fishing photos by submitting them to our site. We would love to post your trophy animals and fish as well as any outdoor photos. Don’t forget to register to win a free Mathews Bow as well!